Thank you to all who visited our stand at the USG 2018 held in Belfast on the 12th October. A special thank you to our guest speaker, Professor John O’Leary who spoke on the Evolution and Revolution in Gastrointestinal Diagnostics. 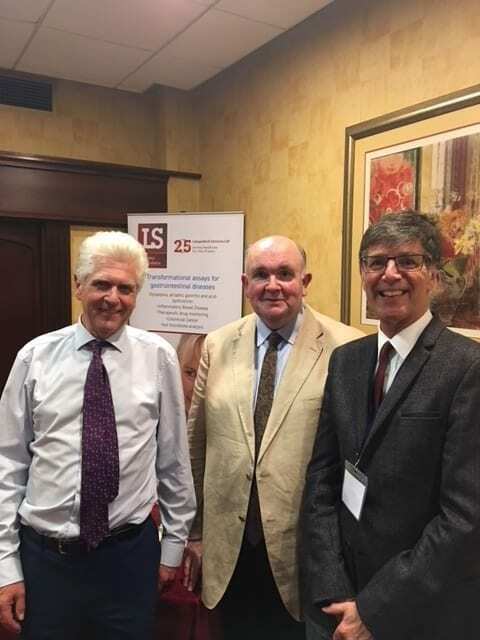 Pictured L-R: Gerry Langan ; Professor John O’Leary, Trinity College Dublin ; Dr. Peter Watson, President of the USG and Consultant Gastroenterologist.